I was thinking (hoping) this book cover was something you designed for whomever Aidan McLennan is. My Google and Amazon searches have proved futile. Is this YOUR book or perhaps just the culmination of a desire to create an absolute masterpiece of a book cover? Either way, well done my friend. If it is the former, perhaps you could share excerpts? Ben, as always, damn good to gear from you. Sadly you will not find a novel by Aidan McLennan at your local book store. 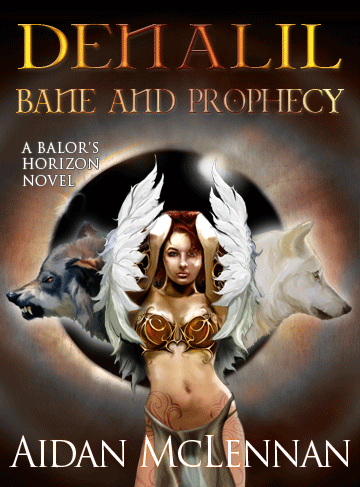 The character concept and the Balor’s horizon storyline is there (and dare i say rather well scripted) to the point that it could be an actual book someday but I was just placing my image in a editorial setting. Going for the high fantasy, it’s what I do. Thanks for dropping in.